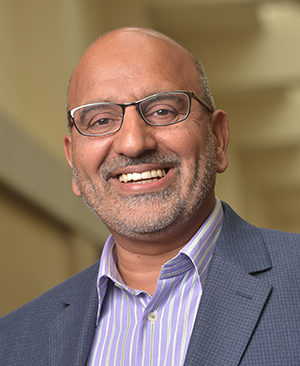 A new book by Notre Dame professor Ebrahim Moosa offers an expansive introduction to madrasas, the most common kind of religious schools in the Islamic world. 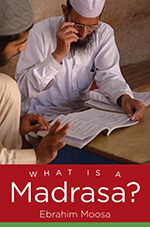 “I wrote this book for those who are curious and eager to know what exactly transpires in these institutions,” said Moosa, professor of Islamic Studies and author of What Is a Madrasa?, recently published by the University of North Carolina Press.“I see myself as a translator between the world inside the walls of the madrasa and those on the outside. As a young adult, Moosa spent six years in India as a student in several madrasas. He rose before sunrise for morning prayers, memorized portions of the Qur’an, learned Arabic and Urdu, studied Islamic law, and engaged in debates with classmates and instructors. These practices provided formative intellectual and spiritual training for Moosa, who went on to become a leading scholar of Islam, teaching first in South Africa and then at Duke University before coming to Notre Dame’s Kroc Institute for International Peace Studies and Department of History. “Madrasas taught me how to love knowledge and learning,” Moosa said. Moosa, who is working to build a world-class Islamic studies program at Notre Dame, is not uncritical of madrasas. But he says that these theological schools offer something of enormous value to Islamic communities, providing religious services and serving as repositories of classical learning. These positive contributions are often overlooked by mainstream media outlets, Moosa said. This reality is what Moosa attempts to clarify in his book, focusing his research on the madrasas of India and Pakistan. Madrasas, in addition to providing spiritual formation for their students, also equip them with important tools for intellectual development, offering instruction in the Qur’an, Islamic law, and the Sunna, the way of life based on the teachings and practices of the prophet Muhammad. Ebrahim Moosa came to Notre Dame in fall 2014 after spending 13 years in the Department of Religious Studies at Duke University. Moosa co-directs, with Scott Appleby, Contending Modernities, the global research initiative examining the interaction among Catholic, Muslim, and other religious and secular forces in the world. He will be a senior faculty member in the Keough School of Global Affairs, helping to lead the School’s new initiative in Global Religion and Development.